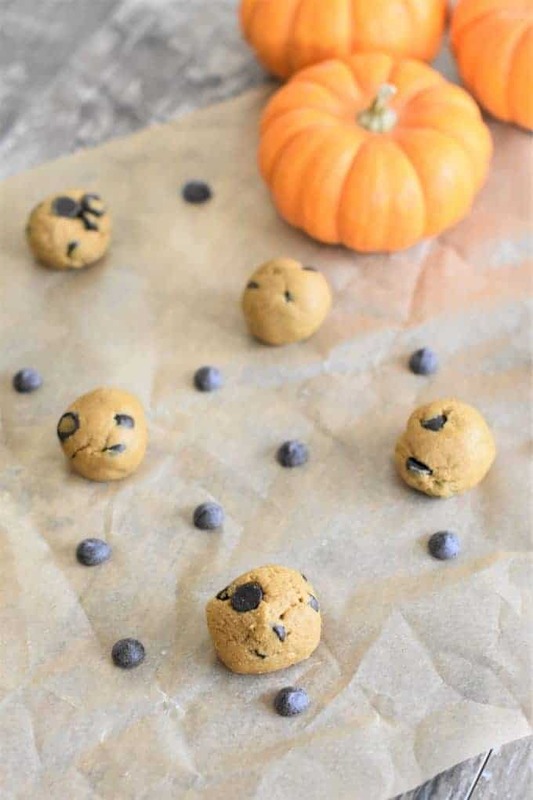 These no-bake Pumpkin Chocolate Chip Cookie Dough Bites require just one bowl, less than 10 ingredients and just minutes to prep. These tasty treats are also vegan, gluten-free, refined sugar-free, nut-free and oil-free! That is, of course, unless you are located in the Southern Hemisphere. Then in that case, Happy Fall! And if you are in New Jersey, Happy Who Knows What Season It Really Is! Seriously, we can go from a few hours of winter to a few hours of summer to something reminiscent of spring/fall…all in the same day! These blissful bites of pumpkin-y perfection will have you going pumpkin crazy all year long! Not only are they tasty (I mean, they’re formed from edible cookie dough…hello), but they are also filled with better-for-you ingredients like unsweetened applesauce, whole-grain oat flour, vitamin-packed pumpkin puree and Ceylon cinnamon as well as the natural sweeteners coconut sugar and pure maple syrup. Oh, and of course, we can’t forget about the refined sugar-free chocolate chips. and MADE IN ONE BOWL! First, line a baking sheet with parchment paper and set aside. Add pumpkin puree, applesauce, coconut sugar, maple syrup and vanilla extract together to a mixing bowl. Add oat flour, salt and cinnamon. Fold to combine the chips into the dough. 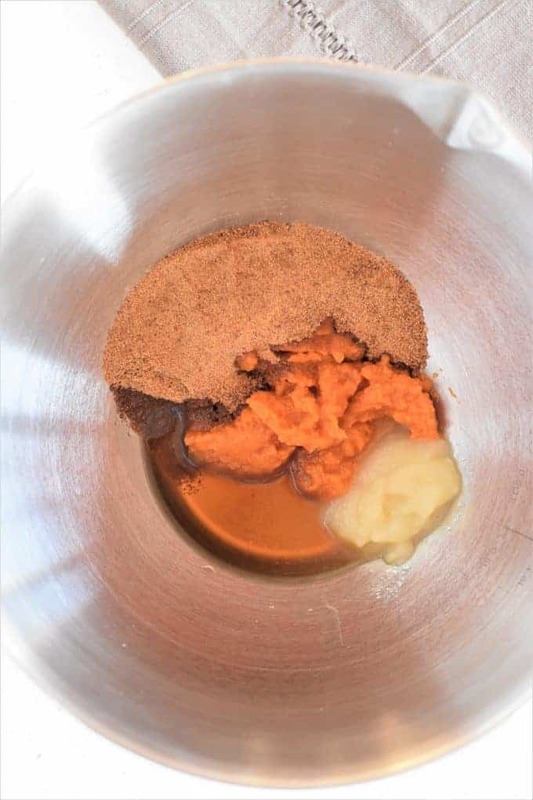 Using a spoon, mix pumpkin puree, applesauce, coconut sugar, maple syrup and vanilla extract together in a mixing bowl. Stir in oat flour, salt and cinnamon. Use a small cookie scoop (I recommend a #60 disher) to scoop out dough and form into balls with your hands. Place dough balls onto parchment-lined baking sheet (makes approximately 15 dough balls). Place the sheet with the cookie dough balls in the freezer for 10 minutes.